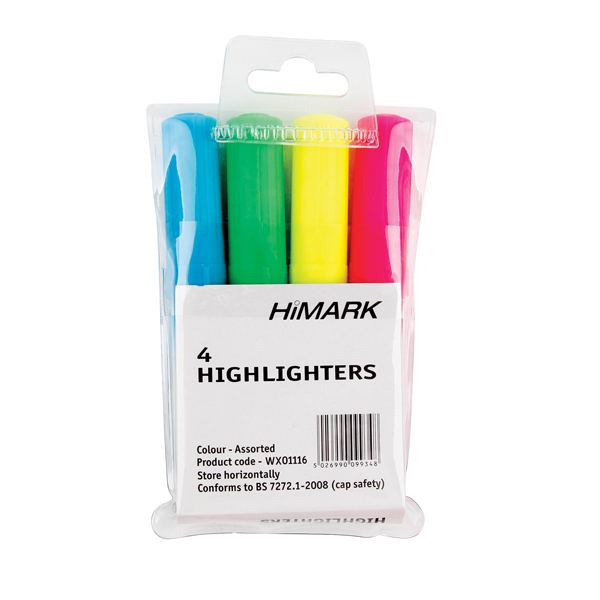 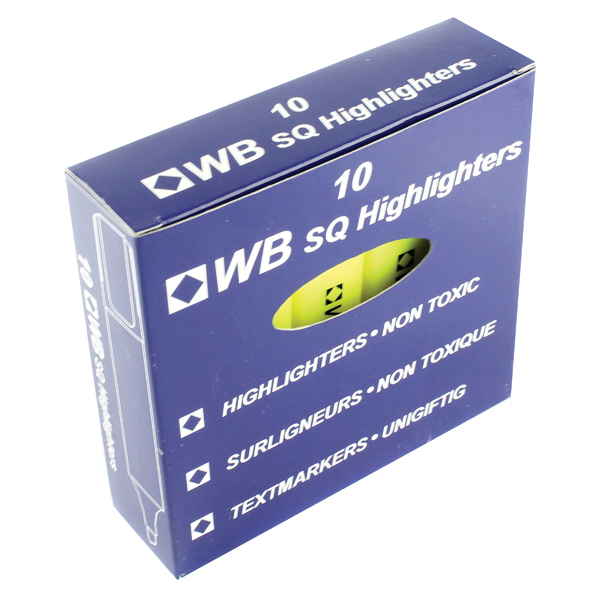 Each highlighter features a chisel tip for more precise control, letting you adjust the width of the line to suit the text youre highlighting. 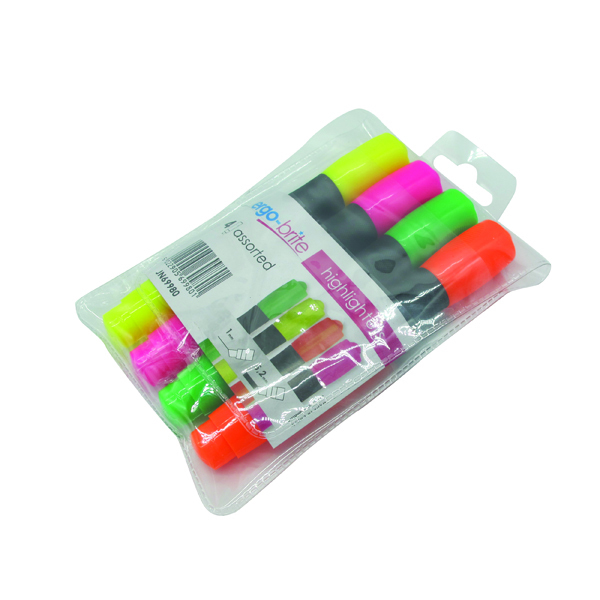 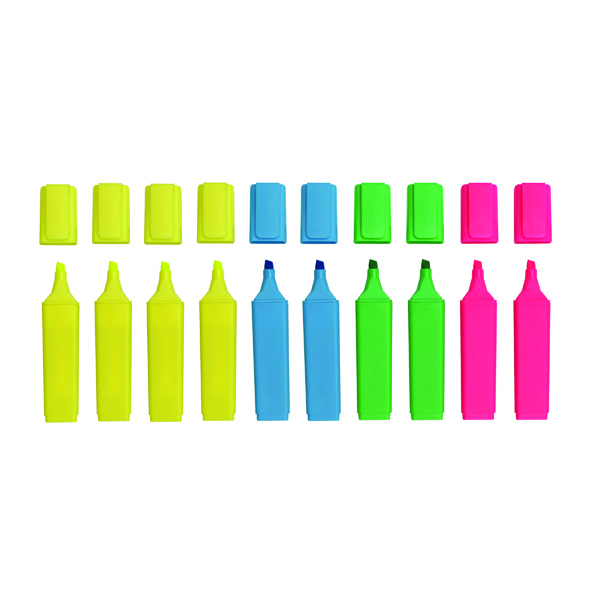 The sturdy plastic cap not only protects the tip from damage, it also features a pocket clip for secure storage. 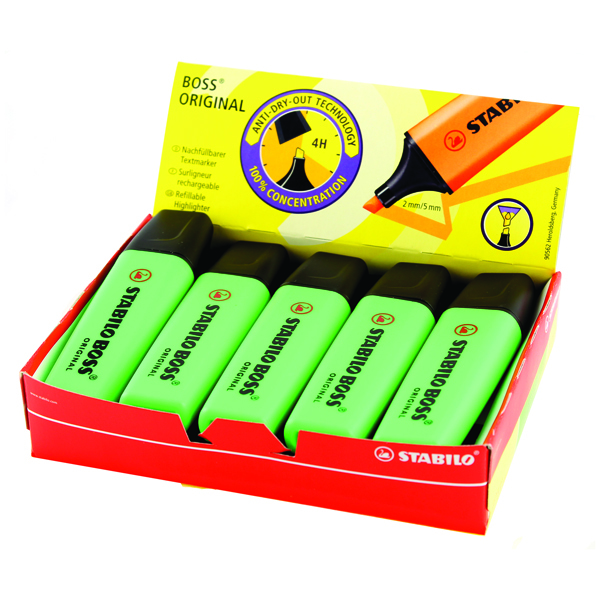 The chunky square barrel gives you extra control in use.